Best removal rates Durban, EL, PE & Cape Town to JHB! 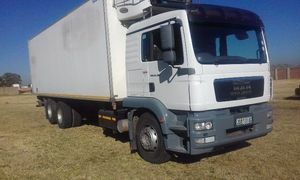 interlink trucks for national removals countrywide, and 2-tonners to 8-tonners for local removals in JHB, Ctn & Dbn. We have branches in Johannesburg, Durban and Cape Town. We do trips to every corner of the country, JHB, Dbn, PE, EL, Ctn and all in between. - Permanent trained friendly staff. - Only closed secure furniture trucks. - Drivers with cellular phones, in constant contact, & only stop at national truck stops. - Optional Insurance Cover, in transit and all-risk. - Storage in Johannesburg, Durban and Cape Town. - Free blanket wrapping, & optional special wrapping and crating.